Come out and support our extra-curricular activities as we kick off another great year at Andover Central Middle School. The basic philosophy of the middle school athletic/activity program revolves around the concept of opportunity for participation. This includes participation on an individual basis as well as a member of a team effort. A comprehensive and balanced athletic/activities program is an essential complement to the basic program of instruction. The athletic/activities program should provide opportunities for youth to further develop interest and talents. Participation in athletics and activities, while a privilege and not a right, should provide as many students as possible with a lifetime basis for personal values and for work and leisure activities. Every effort will be made to support the athletic/activities program with the best facilities, equipment and the most qualified staff available. Whenever possible, knowledge and skills gained in classes should be applied and developed further through participation in the athletic/activities program. Coaches/sponsors will also teach the specific skills which are necessary for improvement and provide guidance in the development of self-realization, good sportsmanship, cooperation, leadership, ethical behavior, artistic sensitivity and an appreciation for the importance of practice. The ultimate goals of the athletic/activity program will be; 1) to realize the value of participation without overemphasizing the importance of winning or excelling, and 2) to develop and improve positive citizenship traits among the program’s participants. Student’s participating will engage in interscholastic athletic and activity competitions. All students’ participation in athletics/activities at Andover Central Middle School will be given the necessary instruction needed to master the basic skills and techniques of each sport or activity. ​8:00 a.m. – 3:00 p.m. 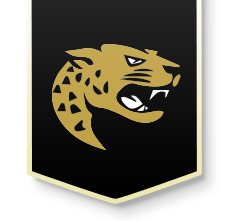 The mission of Andover Central Middle School is to provide all students with educational opportunities to join, achieve, grow, and succeed in a changing society.